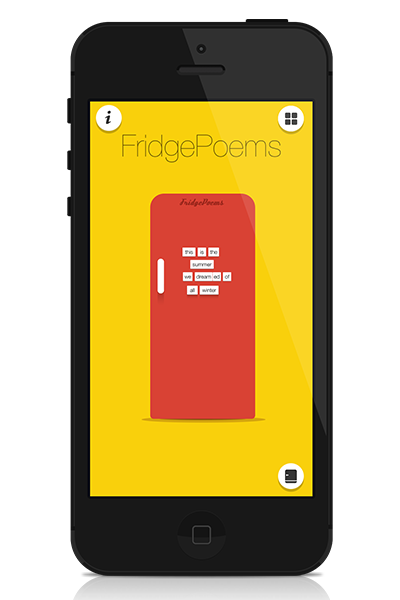 We are proud to announce that we have released yet another app, FridgePoems! For 100's of years, people with bad backs have not been able to write beautiful poetry on-the-go because they couldn't carry a fridge with them. But now they can! With FridgePoems you can write beautiful poetry wherever you are and whenever you feel the urge, to write a poem with not-always-correct grammar. There are even more Word Packs to unlock, so let the poetry flow. Take a snapshot, save the poems to your gallery, send them to your friends or post them directly on your Facebook timeline. Sortle for Android is now available! Sortle is finally also available for Android users! Now you can play with all your friends that have either an iPhone or an Android. Get it for free and play Sortle with your friends today! 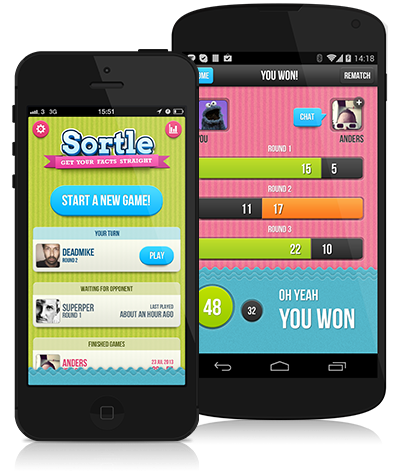 Sortle - Our new Trivia game, is out! We are proud to announce that we have released yet another game. 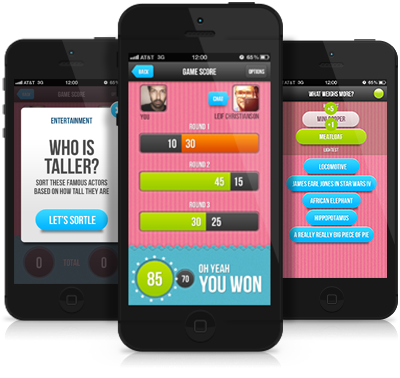 This time a fun trivia game for everyone that loves quizes in all shapes and sizes. EON is building some very cool and stylish Urban Villas in Västra hamnen in Malmö, Sweden. Intelligent homes are nothing new. In fact, they have existed for over 20 years, but only enginneers have been able to install them and use them. Until now. Each apartment is accompanied with an iPad that you use to monitor and control your intelligent home. The app is designed by inUse, and programmed by us here at Color Monkey together with Binary Peak, focus is the usability and with the everyday user in mind — it should be fun and easy to monitor and control your home. The project is planned to be finished this spring when tenants finally will be able to move in. Read more about in in the links below. 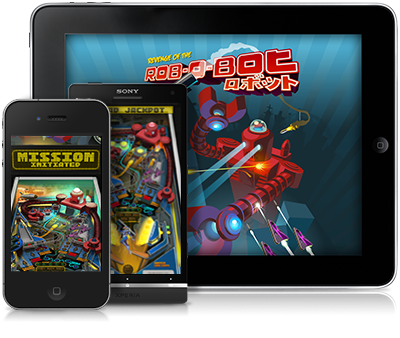 We know that there are as many of you out there who love pinball on Android as there is on iOS which is why we now also release Revenge of the Rob-O-Bot for you. So head over to Google Play and get your pinball on! Revenge of the Rob-O-Bot awarded the FWA! 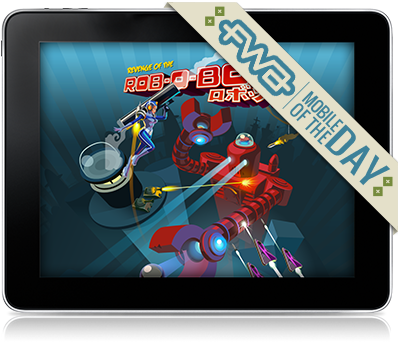 We received the FWA for our work with Revenge of the Rob-O-Bot! FWA stands for Favourite Website Awards, an industry recognized internet award program and inspirational portal. FWA is the most visited website award program in the history of the internet. The submissions are judged on Creativity, Originality, Design, Content and Personality. Apparently Revenge of the Rob-O-Bot possesses all these traits and we can't more than agree. Our latest creation all dressed up for Christmas with snow, lights and stockings. The chickens are running amok and are laying way too many eggs. You as the rope slinging Badger must save the world from drowning in eggs. 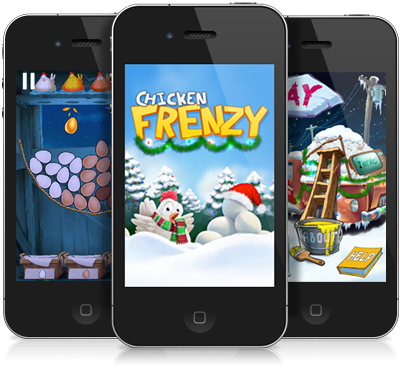 Intuitive controls, great physics, cute cartoony graphics and frantic gameplay is what Chicken Frenzy is all about. Color Monkey have merged with Mandelform Studios to be able to offer you a complete package — from idea to product. We still provide the same services, i.e. 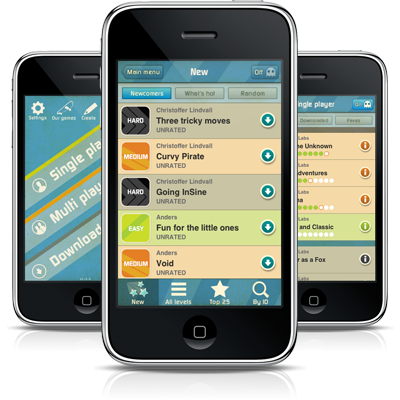 unparalleled UI/UX design, but now also stellar app and game development for iPhone/iPad as well as superb 3D graphics for TV, print and web and MORE! We have gotten a facelift! There is a breath of change in the air, so we thought it was time for us to update our website a bit. When we have an idea about something we really like, we simply can’t keep our hands off it. The iPhone is great, but that doesn’t mean it can’t get a little better…..right? Do you miss the old way of listening to music? Carefully choosing which record to listen to? Enjoying every single track, in the order they where meant to be listened to? Do you miss that familiar crackling sound? The fiddling with the pickup? The very smell of vinyl? We do! runstar full version is out! runstar is the last running application you’ll ever need; bringing you a easy to use and friendly running experience that will help you exercise. Download runstar™ and get all the things you need and want, nothing more, nothing less. Try the different run modes, Power up when you need that extra boost, see your progress and share the results with your friends. For more info see below. runstar™ FULL VERSION is now available in Android Market. No more excuses. Go out and run! Go get it! Color Monkey has finally packed up the old office and moved in to our newly renovated design studio. We’re proud to see this project come full circle with the release of Hanashi’s new visual profile, web site, Java client and with the Android client just around the corner. One experience across all platforms. A movie says more than a thousand pictures, enjoy! Talented designers wanted! Do you have what it takes to become a Color Monkey? 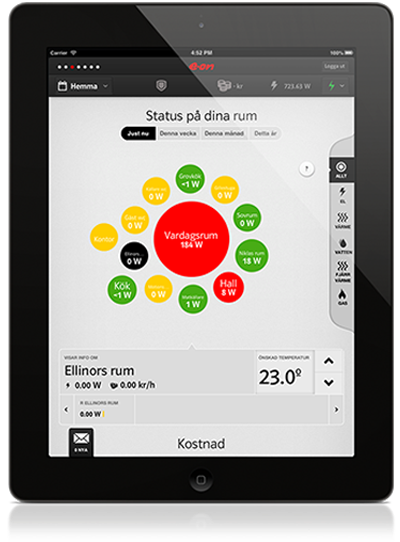 We’re proud to tell you that we won the Malmö selection of Mobile Premier Award 2010. when we showed off our awesome application runstar™. We’re now competing for the whole chabang! What a fantastic year it’s been. 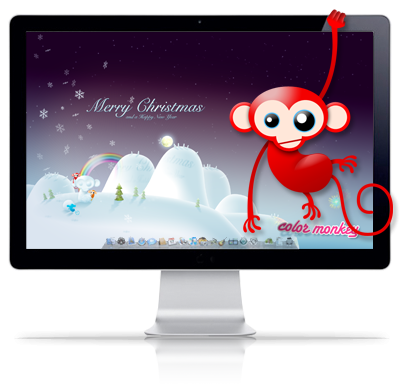 We would like to share some colorful christmas with you with some exquisite wallpapers. Check them out!. 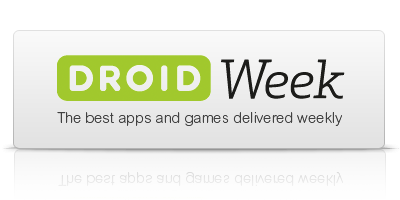 Runstar is app of the week! 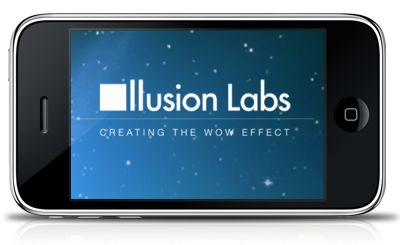 Check it out at Droid Week..
Our friends at Illusion Labs just revealed their new fantastic game; Labyrinth 2. Our contribution: to bring law, order, structure and love to the game’s menus and online store. Read more at the game’s Official site. runstar™ is the only running application you'll ever need; bringing you a easy to use and friendly running experience that will help you exercise. Download runstar™ and get all the things you need and want, nothing more, nothing less. Try the different run modes, Power up when you need that extra boost, see your progress and share the results with your friends. 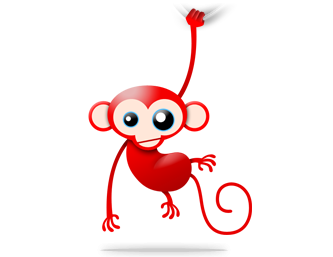 A new social service is coming to life; Sony Ericsson’s Hanashi is being molded into existence here at Color Monkey. Check back soon for more exciting details. 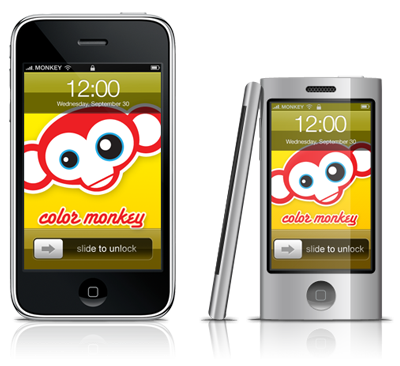 Introducing the iPhone nano, the way of the Color Monkey. The world’s smallest Multi-touch phone, comes in eight different colors. We recently upgraded our studio space and soon it is time for our newest member Daniel to join the club. We’ve just recently joined forces with our friends at Illusion Labs, helping them to bring some structure and love in to their next fantastic game. Keep a lookout, it’ll soon be in a palm near you. 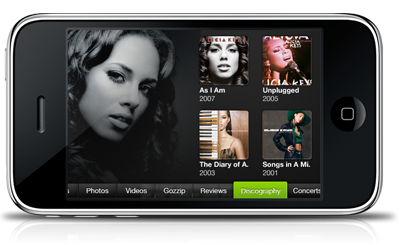 Introducing Spotify for the iPhone, the way of the Color Monkey. A brand new way of listening to music whenever you want, wherever you are. Collaboration is the key to success. That’s why we’re teaming up with inUse who is “Passionate about simply generating real business value by creating IT products that the users love.” which we think is exactly the right approach. A creative and open environment is key to us, that’s why we are now siting at MINC in the heart of Malmö together with all kinds of creative and entrepreneurial people. Drop by if you’re in the neighborhood. 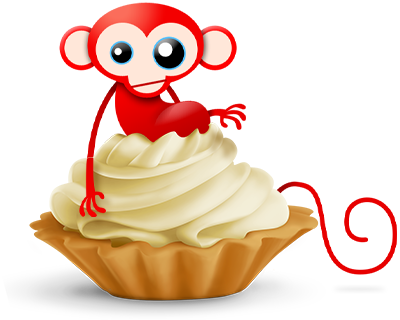 The Color Monkey springs to life, great adventures await!